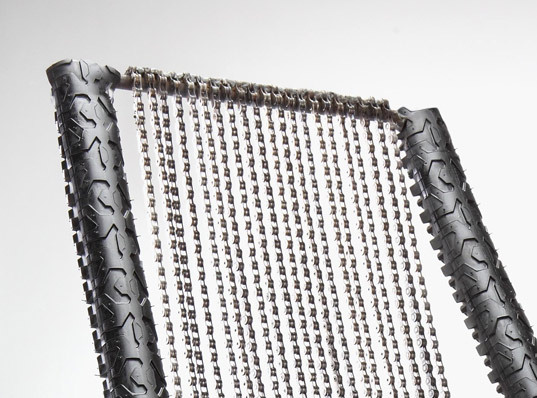 The “Chain Rocker” is a very distinctive rocking chair made of recycled bicycle chains and tires. BRC Designs layered these reclaimed materials upon a steel support structure which is, itself, composed of 98% recycled steel. Each one has a decidedly heavy metal-esque look that would appeal to bikers and rockers alike. 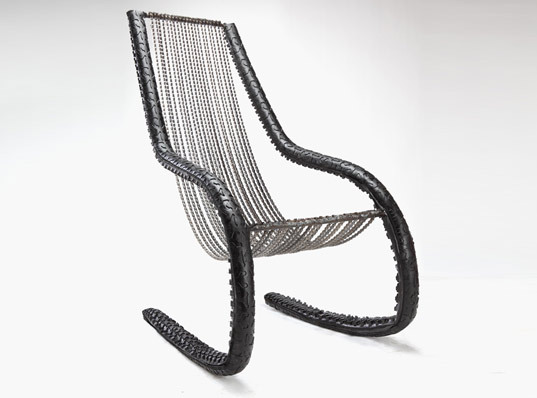 The "Chain Rocker" is a very distinctive rocking chair made of recycled bicycle chains and tires. BRC Designs layered these reclaimed materials upon a steel support structure which is, itself, composed of 98% recycled steel. Each one has a decidedly heavy metal-esque look that would appeal to bikers and rockers alike.